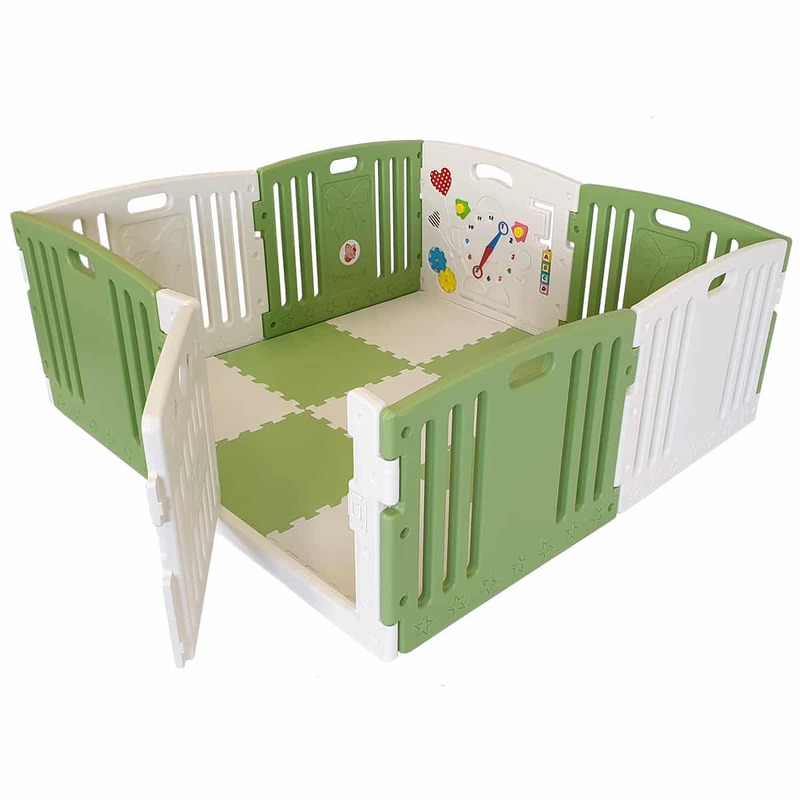 Create a safe space for your little one to play in your home or garden! 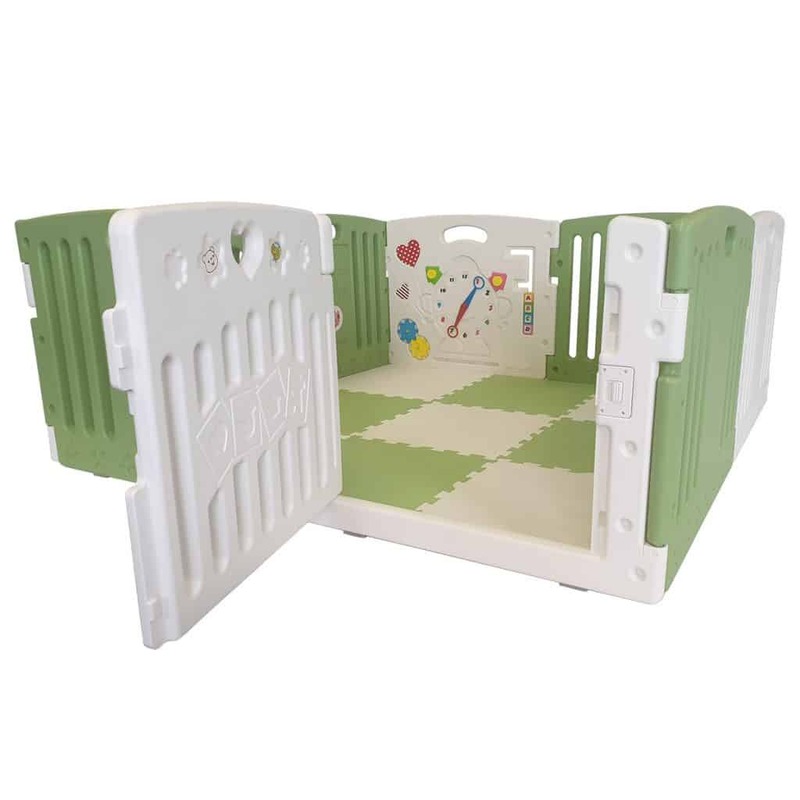 Fresh green and white colourway is not only fun but stylish, meaning it doesn’t look out of place. Quick and easy push-fit assembly. Tough, durable and easy to wipe clean. 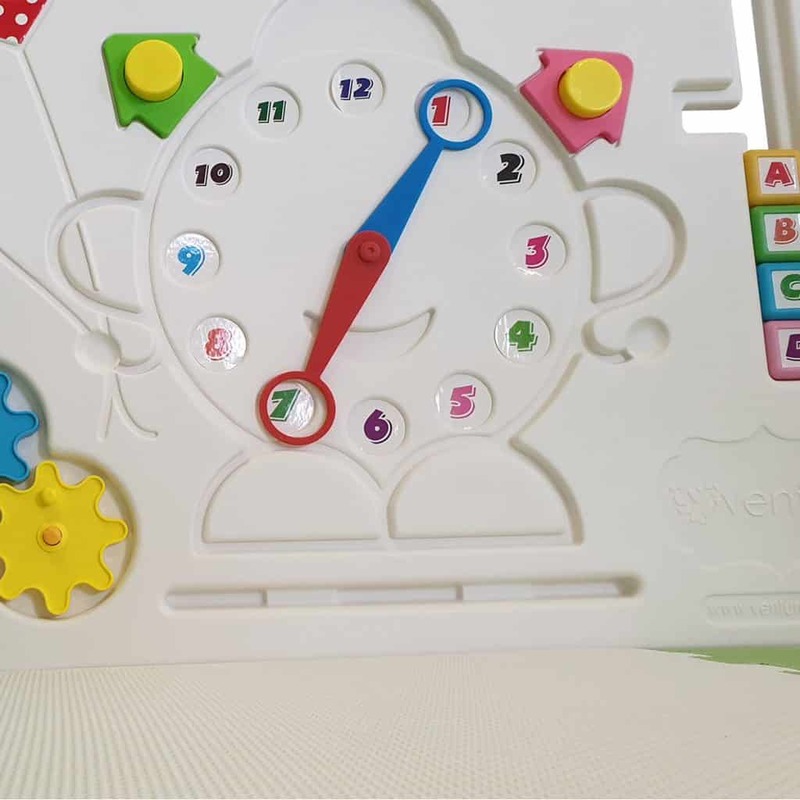 Features a fun filled activity & learning panel to introduce numbers, colours and letters. 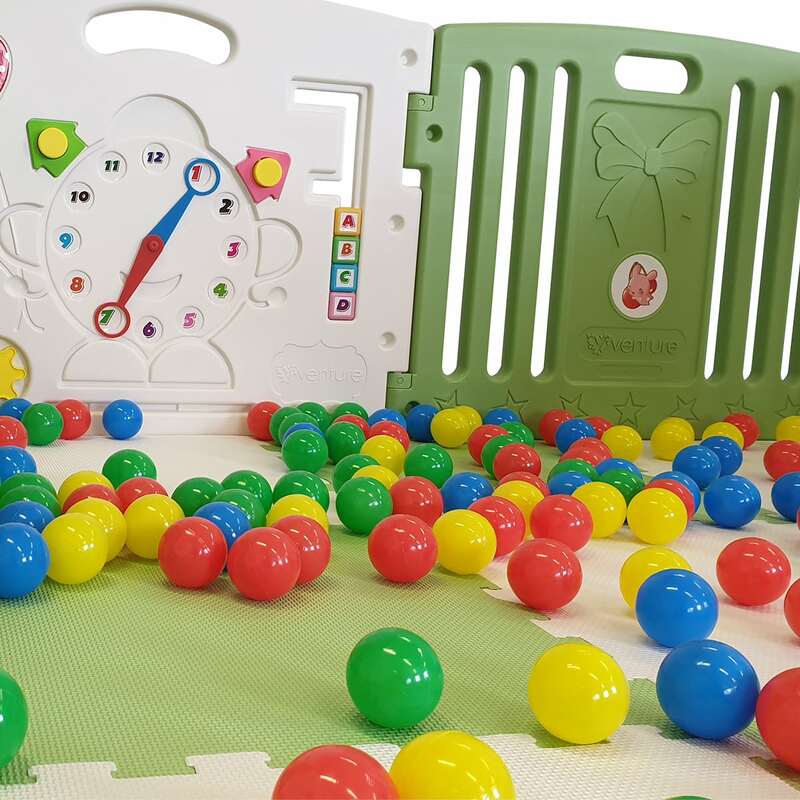 Includes coloured mats and play balls. 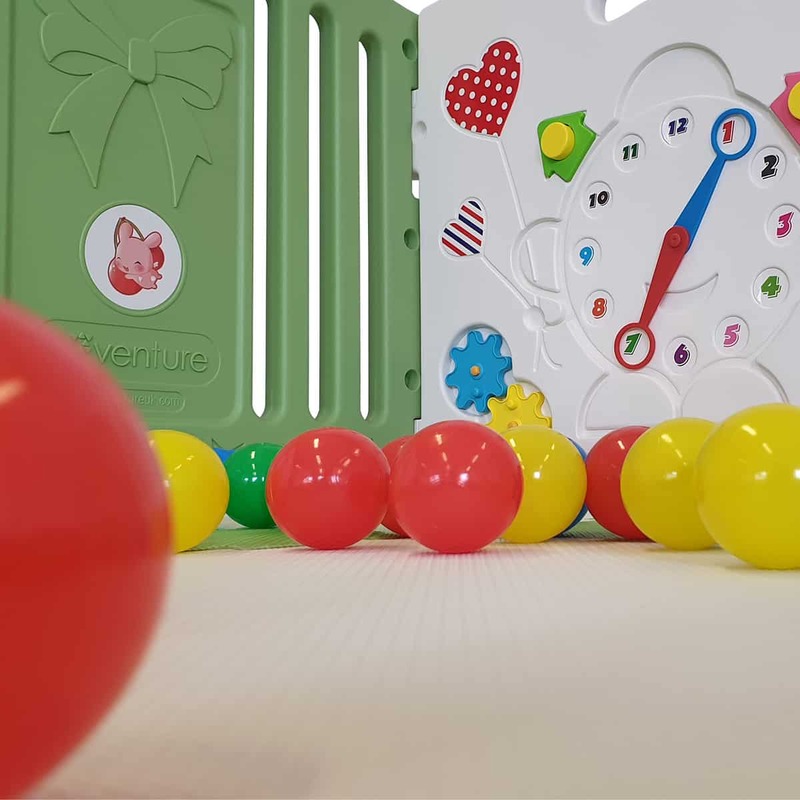 Each All Stars DUO baby playpen includes a fun filled activity and learning panel that’s filled with so many features that introduce your baby to colours, numbers and letters and devleop their key motor skills. 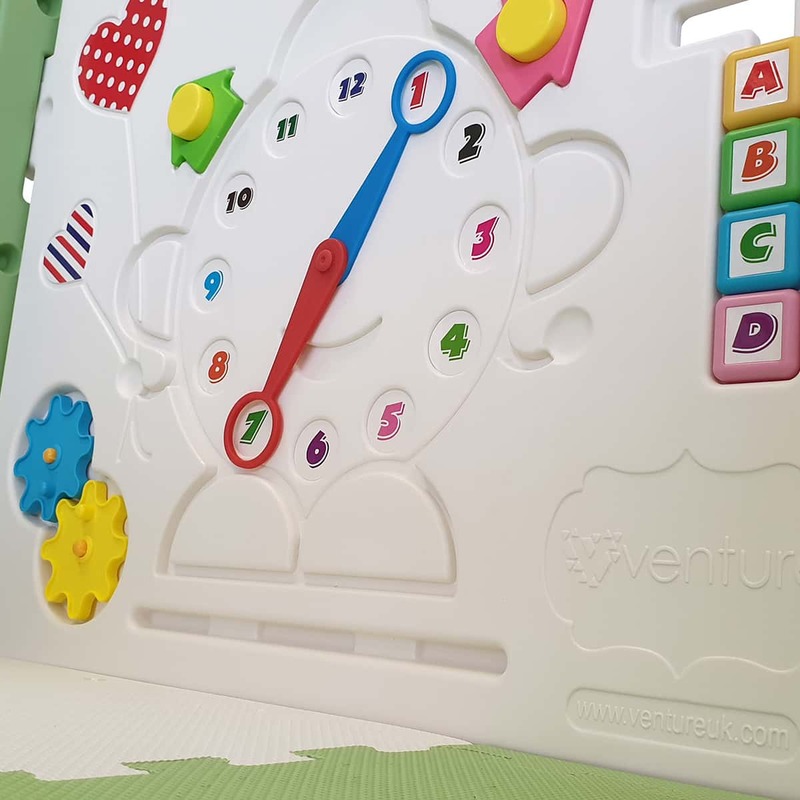 The learning panel gives you the chance to bond with your baby as they discover the basics of numbers and time as well as letters and colours. Includes Soft Playmats And Balls For Added Fun! We believe the most important elements of any baby playpen is fun, comfort and security and the All Stars DUO is no exception to this. Each playpen comes complete with soft non-slip EVA foam playmats and colourful play balls that provide your baby with comfort as they play. 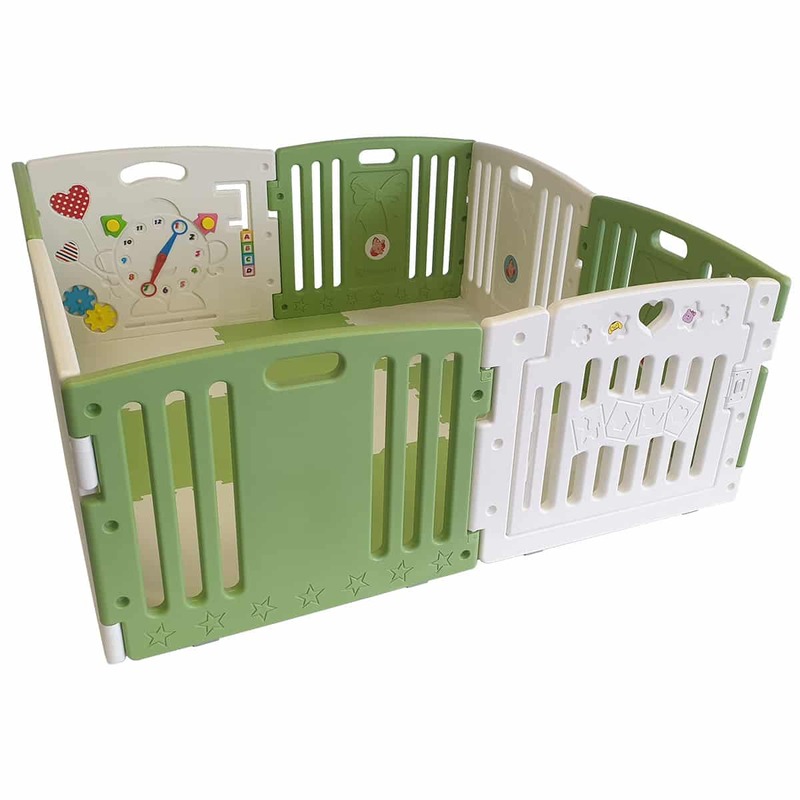 For added peace of mind you can rest assured that all materials and paints used in the playpen and mats are non-toxic and safe, thanks to our conformity to British Standards BS EN 1227 EN 71. 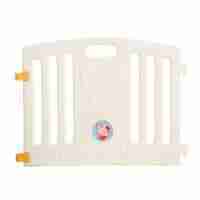 Safety is an incredibly important aspect of any playpen but it’s also important for the playpen to be accessible when you need it. 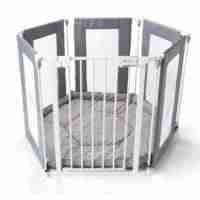 The All Stars DUO baby playpen features a locking safety gate panel that is designed to keep your baby safe and secure. 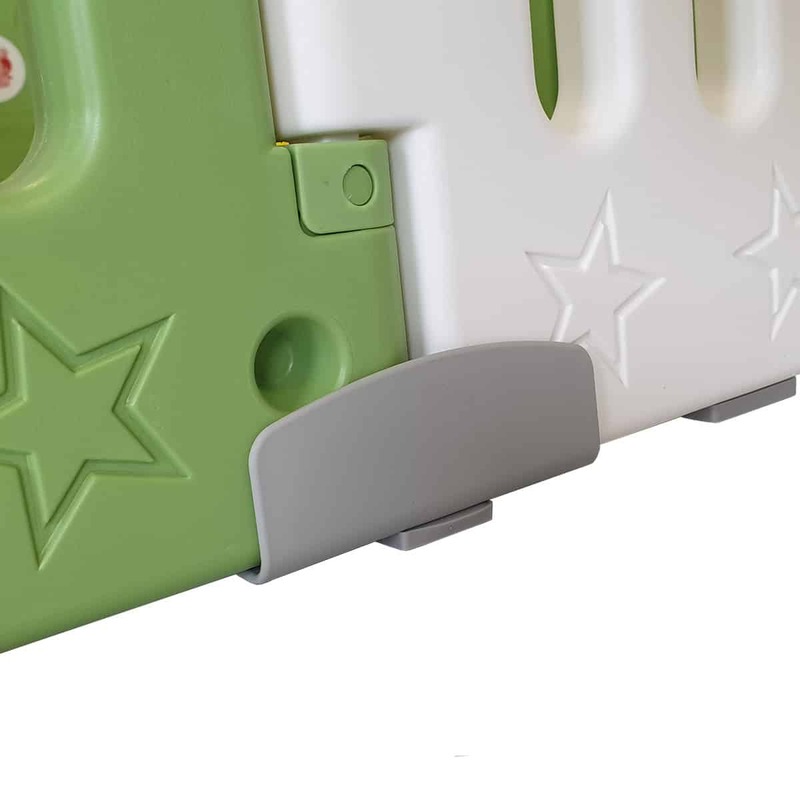 The latch is easily operated with a simple slide motion that locks and unlocks the gate. You may also be wondering what keeps the playpen in place if you have carpets or laminate flooring, well each panel comes is fitted with a handy non-slip footpad to keep them from slipping on tricky surfaces, if you want a little more added protection against slipping you can also use our detachable panel locks that provides a little bit more rigidity.